The innovation that led to the creation of Consuta was born of the glamour of the Henley Royal Regatta. Then, as now, being seen at Henley was as important as watching the racing. To understand why Consuta is truly remarkable we need to travel quite a way back into history, half way back towards the Battle of Trafalgar, to the last years of the 19th Century. Boat building techniques had remained pretty much unchanged since Trafalgar. Hulls were typically made by covering a wooden or iron skeleton of frames with a skin of planks or plates. There were no reliable waterproof glues (This remained the case up until the 1950's) so rivets, screws and nails were also needed. All this meant that hulls were heavy and brute force was needed to drive them at speed. The Henley Royal Regatta started in 1839 and races were initially umpired on horseback (from the side of the river of course). Within a year the umpire was being rowed behind the race by professional watermen. However the rise in skill of the amateur rowers was matched by the demise in skill of the watermen as steam power replaced muscle power more generally on the water. That same steam power made the river Thames far more accessible from London by train and the number of spectators on the bank and on the water mushroomed in the later years of the 19th century. 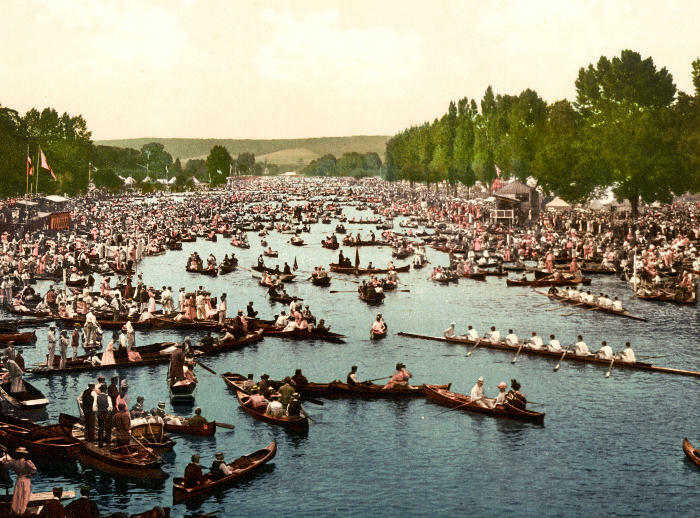 The tinted photograph below was taken in the 1890's and shows just how crowded the Regatta course was compared with today. The first powered umpire launch was introduced in 1869. The rowing got faster. The umpire launches got faster but often created lots of wash which meant they were sometimes obstructed by unhappy spectators as they made their way down to the start. This meant some of them could only be used for the slower races, an entirely unsatisfactory state of affairs. 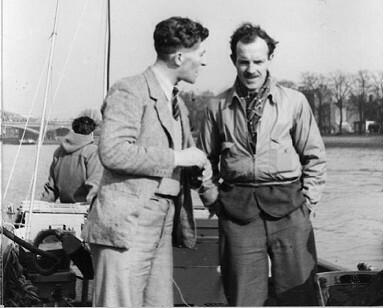 The Regatta Stewards asked Mr H.S.Clutton, a member of the Leander Club who lived at Cleeve Mill in Goring-on-Thames to commission a neighbouring boat builder, Sam Saunders, to build a fast launch to carry an umpire at 25mph whilst creating a minimum of wash. It seems very likely that Mr Clutton was aware of his neighbours experiments with a new laminated monocoque method of hull construction and its potential to get the Stewards out of trouble. And so the first launch was made using Sam Saunder's experimental system of Consuta (Latin for sewn together) plywood. 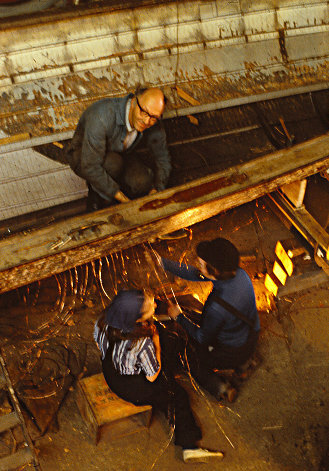 Four layers of thin mahogany were interleaved with a waterproofing material (possibly calico impregnated with an oil or rubber solution) and stitched together with with over 40,000 stitches of copper wire to produce a very strong hull of about half an inch in thickness and 50ft in length. The hull had no traditional frames but was stiffened by longitudinal stringers and the full length passenger seats. Saunders prudently patented his invention and Clutton, pictured below, we believe, at the bow of his new launch loaned her to the Regatta for the 1898 races. Consuta was certainly fast, achieving 27.5 mph (44kmph) on her acceptance trials. But would she keep the spectators dry? Over the next few years, Saunders grew his business on the back of Consuta's success. 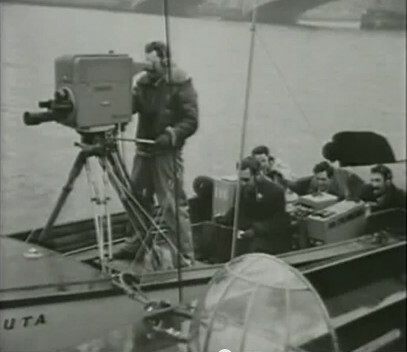 His company initially used the Consuta method of construction to build other river launches on the Thames. However improvements in engines led to even greater speeds and one or two problems with the river authorities so the company moved to Cowes on the Isle of Wight in the early 1900's. Here Saunders continued to produce record holding and championship winning boats using the Consuta method. 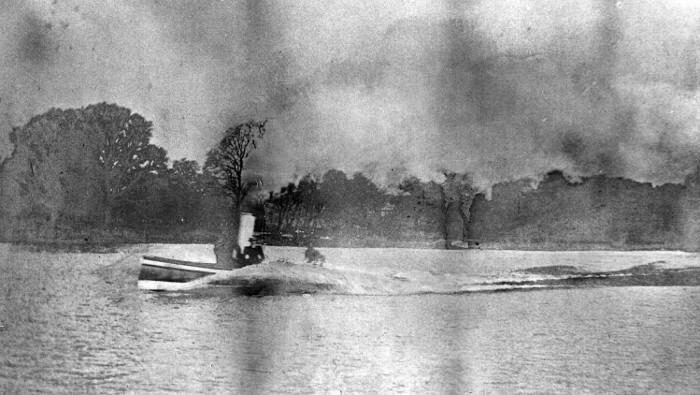 The picture above shows a hydroplane called Maple Leaf IV built of Consuta in 1912 and capable of 57mph (twice as fast as the original Consuta launch) powered by two 760 H.P. Engines. 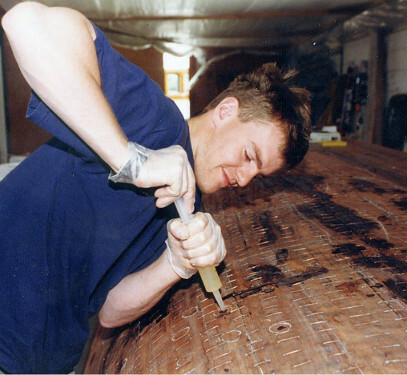 Sam had a keen interest in aviation and soon applied Consuta to the fuselages of early sea planes starting with the Sopwith designed Bat Boat of 1913. This was the first amphibious aircraft to be built in Europe and caught the attention of the Royal Navy. 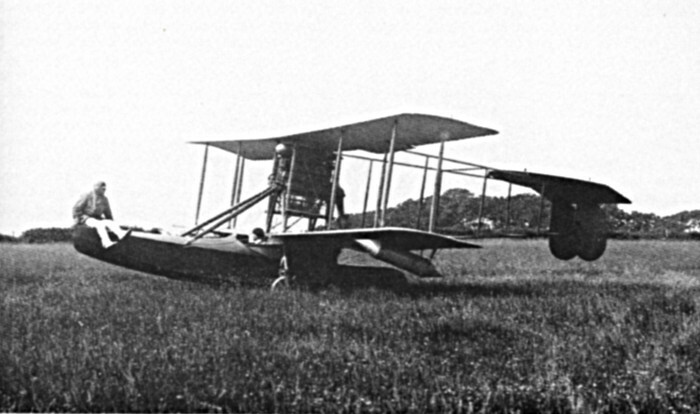 With the outbreak of war in 1914 Saunders went exclusively if a little unwillingly into aircraft manufacture, producing over 1,000 aircraft between 1914 and 1918. Sam was awarded an OBE in 1919 for services to the nation. There is an interesting article from a 1919 Flight Magazine in the archive section of this website (or by pressing here). Sam died in 1933 but the company he founded went on to produce some iconic flying-boats and hovercraft under the name Saunders Roe. Saunders Roe was later taken over by Westland Aircraft and is now part of GKN Aerospace. High tech composite aircraft components are still manufactured by GKN in Cowes. 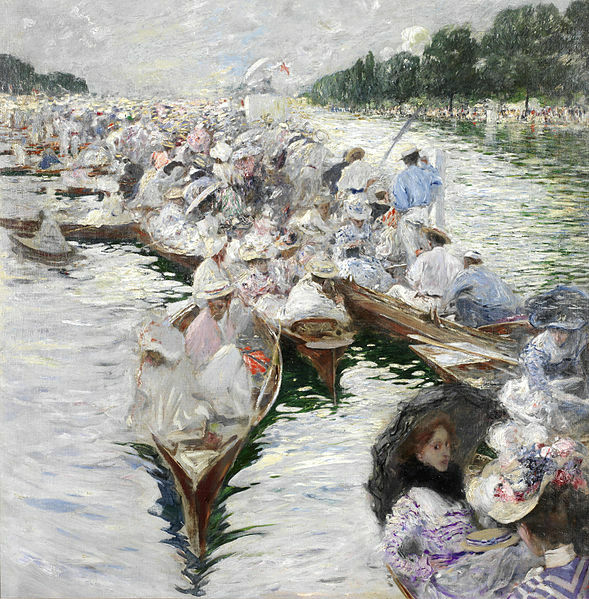 It is interesting to think that all this came about because people were getting wet at the Henley Royal Regatta a century ago. It is thought that Consuta was sold in 1907 to Henry Hewitt of Hampton. After that the details of any changes of ownership are somewhat hazy but by 1920 Consuta had changed hands again although she was still on the River Thames, now owned by Phelps and based for a time at Putney. In 1923 she was at James Taylor's yard at Chertsey where the DesVignes steam engine was removed and replaced by a petrol engine. The DesVignes engine was later taken to Tom Taylor's yard at Staines where it was used to power some plate bending equipment and was still in use in the 1960s. By the 1950s Consuta had passed to W E R Sims (Boats) at Richmond and her last commercial owner was F & B Boats (Balchin) at Surbiton. Finally in 1975 Consuta was sold to Graham Lindsay who was to begin the much needed restoration work. Having been removed from the water she was initially stored at Nick Knight's yard on the River Medway until work could begin. There had been some marked changes made to the launch over the years with several different petrol engines having been fitted after her steam plant was removed in 1923. Having also been used as a general service contract passenger launch hand rails had been fitted and all the original bulkheads had also been removed. 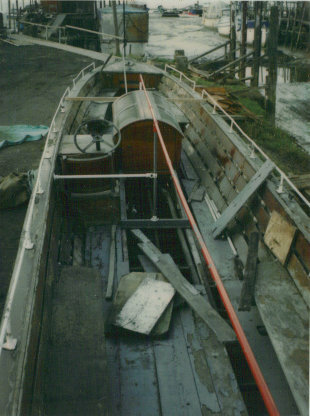 By Nov. 1981 the hull was in a very poor condition, so a cradle was built around the boat at Rochester prior to being transported to Kew Bridge Steam Museum. Here work was started by stripping out all the old petrol engine beds. In April 1982 some new Honduras mahogany was purchased from Waterman and Ross at Ilford, which was then sawn into 1/8 inch and 3/16 inch thick veneers. Throughout 1982 and 1983 a considerable amount was done replacing areas of the shell, stringers and part of the hog and sewing them into place with 16 gauge copper wire. Wych Elm was used for the stringers etc., as a substitute for the original Canadian Rock Elm, which by then was a banned import. At some point in the petrol engine era, steel angle frames had been fitted across the hull presumably to make good the loss the bulkheads. Unfortunately these frames were secured by steel coach bolts through the hull. This caused severe decay of the timber around the bolts. The engine, which was collected from Tom Taylor’s yard at Staines in Jan. 1982, was completely restored by January 1983. The original oak floors were either rotten or missing so it was decided to fit new galvanised steel floors and engine and boiler beds, the floors being screwed via wooden blocks to the stringers and hog. This was completed by the end of 1984. A new boiler was ordered in 1985. A new permanent cradle was built and fitted May 1987. This allowed the vessel to be easily moved around. At the beginning of 1988 the owner decided he would like to have Consuta ready for the summer of 1989. While the remainder of the steam plant was being completed at Kew Bridge the hull was transported to a Thames boat yard on 29 Sept. 1988, to have some minor work completed on the bow and stern. The intention being that it would be returned completed by Dec. 1988. Unfortunately, once at the Thames Yard, the hull was turned over and the outer veneer on the bottom (which was sound) removed and replaced by a rotary cut veneer (Coya) which was completely unsuitable. The steel frame had been removed and the hull allowed to fall out of shape. 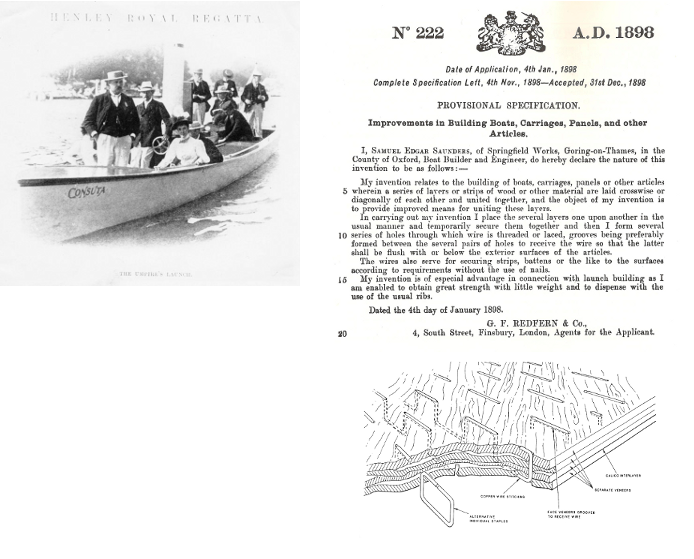 At that point, partly due to owner’s other commitments, all restoration work stopped. In 1998 Consuta was taken on its trailer from the yard by Brian Smith and family to their home at Kintbury. A meeting at Kintbury in April of a group of interested parties, including Graham Lindsay, discussed future options and it was decided to form a charitable trust to take ownership and responsibility for Consuta. After some preliminary work at Kintbury she was moved to Henwood and Deans workshop at Hambledon in December 1998. After a considerable effort pulling the hull back into shape some 250 man hours (volunteers) were needed to strip all the paint from the hull in preparation for treatment with epoxy resin to provide a watertight and sound hull structure. The boat complete with new decking and painted and varnished was then (late 2000) moved to Kew Bridge Steam Museum for the fitting of the boiler and steam machinery. Thence back to Henwood and Deans for the final finishing, July 2001. Pictures of the restoration are available on the Gallery page. On 15th October 2001 Consuta was transported to Wargrave where she was launched once again into the River Thames, a river she had been absent from for over twenty five years. Successful steam trials were held the following day, the first time the launch had been in steam since the DesVignes engine had been removed in 1923. 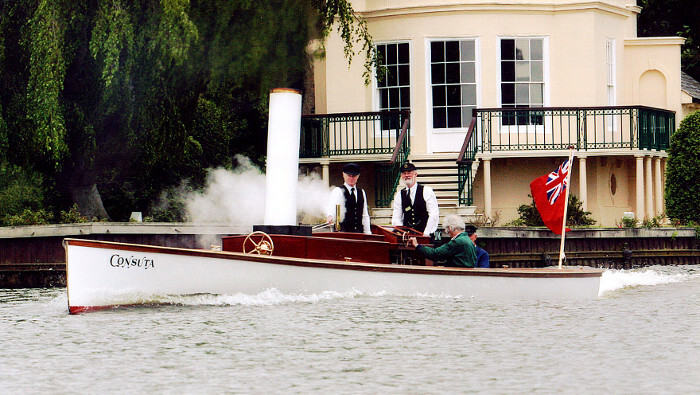 On a rather damp morning in May 2002 river trials were held, supervised by the Environment Agency and members of the Henley Royal Regatta Committee. 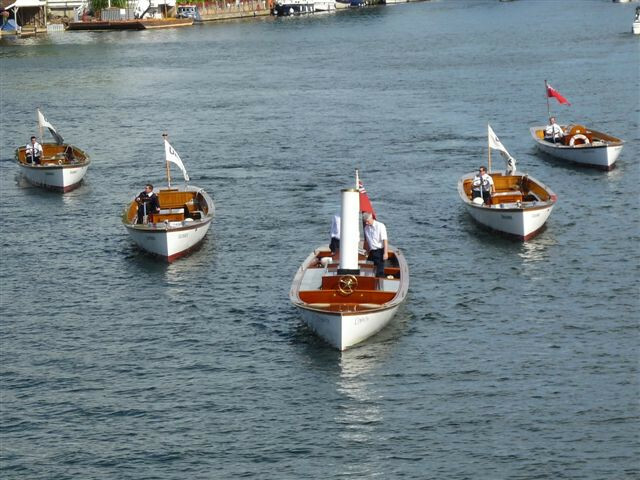 The launch made three runs by Temple Island on the Regatta Course the last clocking an impressive 15 miles an hour and still accelerating after passing the radar gun. That was with 12 people on board with "WOW" being the exhilarated expression used by many of them at the time. 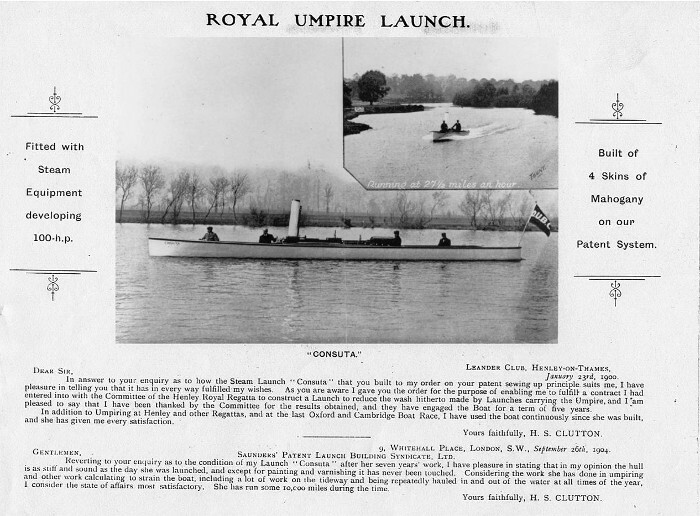 The launch also had to perform an emergency stop which it achieved in less than a boats length and on completion of the trials Consuta was granted an exception certificate to umpire at race speeds. Since then Consuta has been in regular operation, used as one of the launches at the Henley Women's regatta for the last few years and at other events. So far she has proved to be every bit as fast as the modern launches and, on occasion, more reliable. A very fitting testimony to the skill and foresight of her builder Sam Saunders. So we finish this page with a picture of Consuta and the modern Henley umpire launches. Difficult to spot the difference, even after 115 years... well OK yes the one in front has a big funnel.